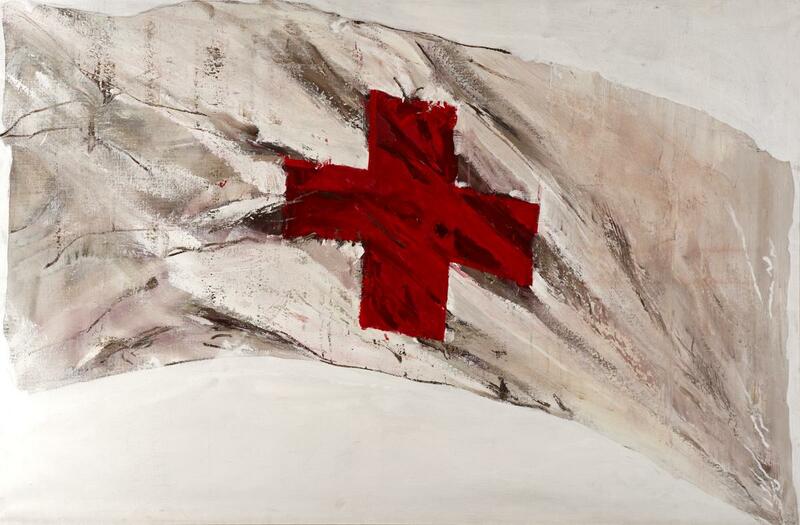 Large oil painting of a white flag with the emblem on canvas. Unsigned. Donated by the artist for the British Red Cross '125' celebration.